When I opened the drawer that contains my Big Shot dies, my Floral Fusion Sizzlet was screaming, "Pick me! Pick me!". Do your stamping supplies ever get that way? 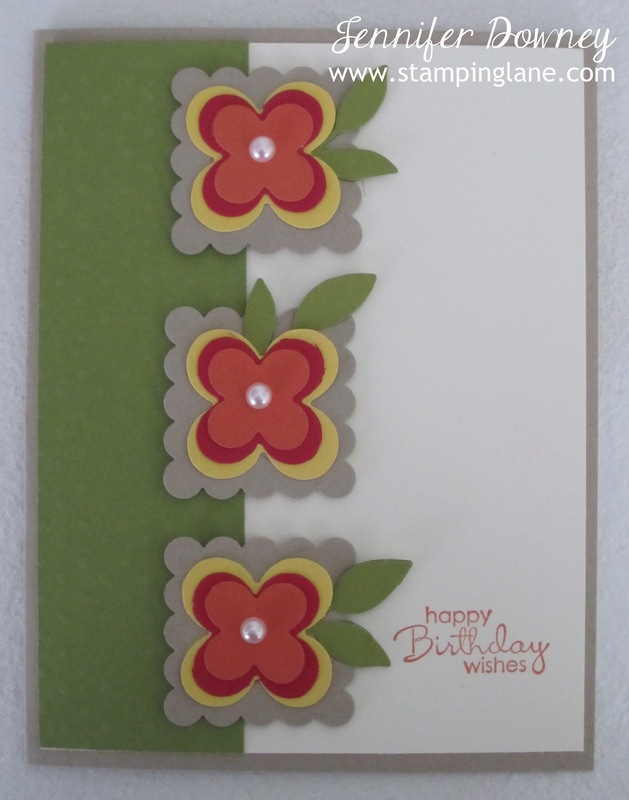 I thought it would be fun to die cut the flowers in three vibrant colors to layer upon each other (Daffodil Delight, Real Red and Tangerine Tango). Their leaves are actually one Little Leaves Sizzlet that I die cut then cut apart. I love it when you can get multiple ideas from one item! It makes it so much easier to justify adding it to my craft studio! Happy Stamping!